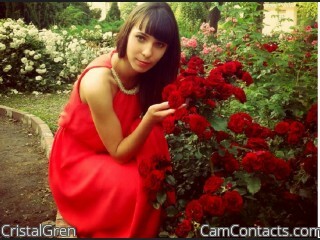 CristalGren is just 20 years of age Straight Female with a hot Normal body, Black hair and Brown eyes. 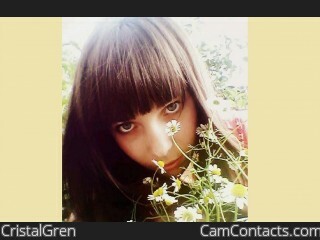 CristalGren says that "I like guys with so cute eyes what can beat my heart so faster :)". She has been rated 5.0 and she says you can expect "Im so nice persone :) with so good humor and so lovely smile :) with me always so fuuny :) dont be shy come to say hi and enjoy time with me :)" in her naughyt cam room.